Here is my other favorite Sale-A-Bration free stamp set – A Happy Thing. I love the cute bird. My mom said it looked like an African bird, so use bright colors. The Stampin’ Up! Blendabilites are perfect for the coloring and each set is free with a $50 purchase. 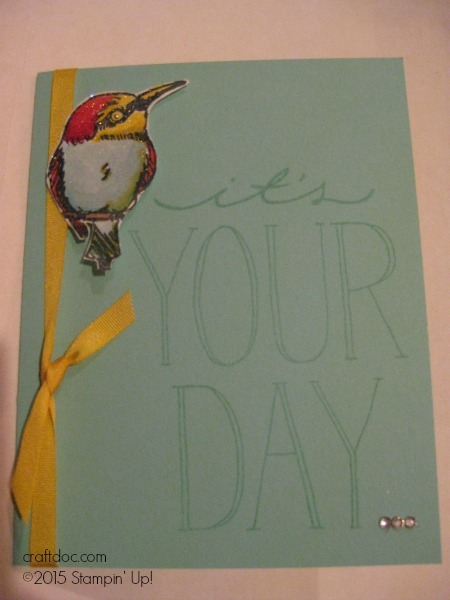 -I embossed the colorful bird with Irridescent Ice Embossing Powder for an extra sparkle. 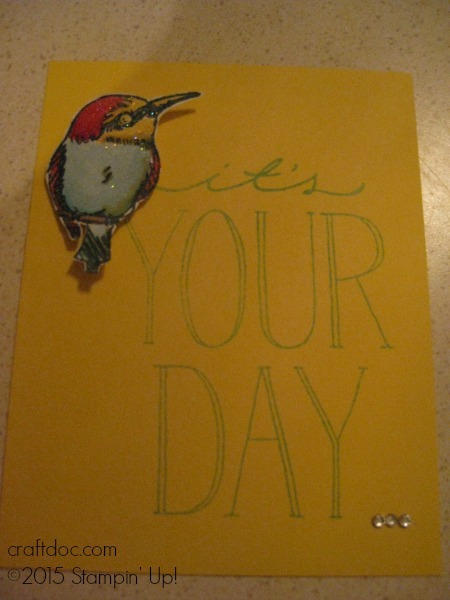 -The sentiment is from Big on You – new in the Occasions catalog. -Coastal Cabana and Crushed Curry cardstock will match the Sale-A-Bration ribbon.